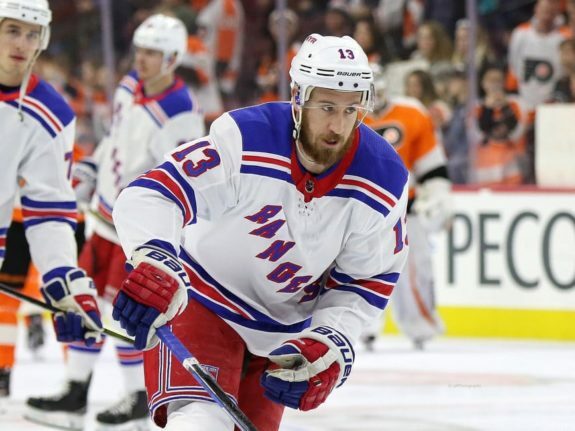 New York Rangers' Next Trade: When and for Whom? Rangers’ Next Trade: When and for Whom? 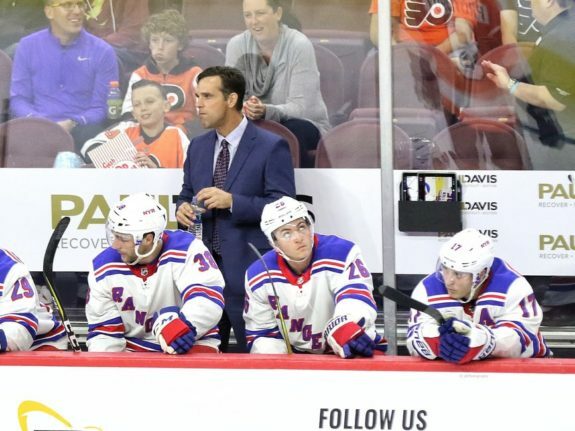 The New York Rangers are at an interesting point this far into the 2018-19 season. Their focus has been on a rebuild, tearing down the walls of an older team whose Stanley Cup window had closed and replacing with newer, fresher assets that will hopefully work out and stick around for a while. At the same time, November showed a glimmer — however so slightly — of hope that maybe the rebuild, while still a work in progress, can have its dividends pay out sooner and last longer. After an October that saw the Rangers go 4-7-1, the team went 9-4-1 in November, highlighted by a 9-1-1 streak, a seven-game points streak between Oct. 30 and Nov. 12, and picking up points in 10 of the games they played in November. Currently, however, the team has lost five of its last six. Without a doubt, considering how inexperienced the Rangers are — both playing with each other and in the NHL — streakiness and constantly changing hot and cold stretches should not be surprising. Yes, the Rangers have struggled in finding the net, consistency and playing a full 60 minutes of hockey. At the same time, the team has shown flashes of its full capabilities. Heck, at one point, New York was second in the Metropolitan division. The Rangers sit just outside the top three of their division at 14-13-4 and 32 points. All things considered, how should the Rangers’ rebuild motives be affected? If not, how soon should the Rangers find a trade partner for some of their talent? The answer to the former is easily not at all, but the questions of who to give up and exactly when are a little tougher to answer. Trading ASAP: Value of Hayes, Kreider, Etc. Over the past year, Rangers fans have seen their familiar faces sent away in favor of prospects and Rangers brass indicated that management was not finished with the rebuilding product. As seen last month with the Ryan Spooner-Ryan Strome exchange, the brass is even willing to quickly send away an underperforming project in favor of something new. They’re looking for players who can fit right in with the playing style under head coach David Quinn — fast-paced, high-energy and aggressive (an extra plus for being defense-oriented). As it stands right now, there seem to be a few possible suspects as to who will be the next to be traded: Kevin Hayes, Chris Kreider and Mats Zuccarello. Hayes entered the offseason looking for a big deal but settled for a one-year deal. On the surface, it seems Hayes is a prime trade candidate considering his rental status and the depth the team has at center with the likes of Mika Zibanejad and Brett Howden. But he’s earned significant praise for his play, as he’s currently second on the team in points with 23 — 15 coming off of assists (good enough for second on the team in that category). Sports logic states that when a player is playing hot, it could be an opportunity to sell high. But the idea of trading Hayes has soured some with his performance, some even feeling he should be team captain. Even then, his current one-year deal and desire for a bigger contract in free agency may turn off some unless a certain team sees Hayes as a player that will get them over a hump. That brings us to Kreider, who may be a more valuable trade chip with more control, his experience, and improved skills since his NHL debut in the 2011-12 playoffs. Kreider leads the Rangers in goals with 14 and is just behind Hayes in the points contributor leaderboard. With how much he’s doing for a team, that argument for Hayes as a leader could be made for Kreider, too. Also, with how low the Rangers are among the NHL in scoring, trading your best producer in that statistic may not be smart. 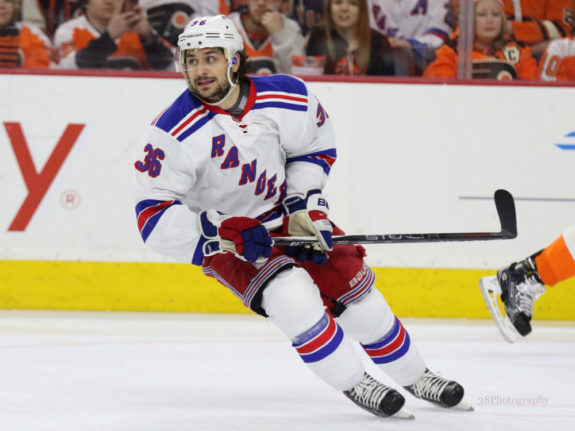 That leaves the fan-favorite Zuccarello, and while it makes perfect sense to put him in the trade spotlight on paper, he’s just coming off a lingering groin injury and looking to regain his rhythm. Even then, would the return on the 31-year-old really be worth as much as the others? Would he be the only one traded? The Rangers could always trade another expendable youngblood that hasn’t made much an impact, but there may not be an impact in return. Yes, the team has lost five of six despite the shine November brought. Yes, they’re still a rebuilding team. But still, it may be best to wait and out. Wait and see what becomes of Hayes and Kreider and if any new offers for them come in. Wait and see what happens among the youth. Wait and see where this team is at the end of December or by mid-January. More trading is coming — that’s a guarantee. But the fates of certain players — playing on the words of The Clash, should they stay or should they go — are big question marks depending on performances and team needs.